Notes: The Oxford, Worcester & Wolverhampton Railway (OW&WR) was authorised by Act of Parliament on 7 August 1845 as an 89-mile mixed gauge railway (7ft and 4ft 8½in) from Oxford to Wolverhampton via Worcester. The Great Western Railway (GWR) subscribed to the building in their efforts to reach further north and into the area dominated by the London & North Western Railway (LNWR). The chief engineer of the project, Isambard Kingdom Brunel, estimated the cost of construction to be £1.5 million, a hefty sum in the 1840s. By the late 1840s construction was painfully slow and costs were starting to overtake the original estimate, and the OW&WR was forced to re-evaluate the total cost of the project. 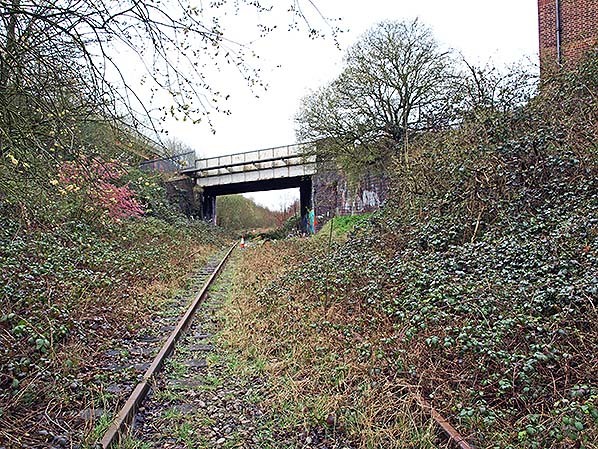 It was found that the final cost would be nearer £2.5 million to complete the line and, following a skirmish with an unpaid contractor and some 2,000 of his men at Mickleton, Gloucestershire in which Brunel amassed an ‘army’ of 2,00 navvies for the stand-off, the GWR started to lose its enthusiasm towards the project. By 1850 construction had ground to a halt and years of legal action by the OW&WR against the GWR had failed to complete the line. A London solicitor, John Parson, became a majority shareholder in the OW&WR in 1850 and would be the instrumental driving force to complete the project. Having drawn a blank with the GWR for over 12 months he approached the LNWR and the Midland Railway (MR) to complete the line; it was a step too far for the GWR. No sooner had the LNWR and MR signed the agreement of 21 February 1851 to complete the construction, when the GWR had the agreement declared void in the Court of Chancery and subsequently offered the OW&WR a similar agreement. The Stourbridge to Dudley section was finally completed and opened on 16 November 1852 to goods, and 20 December 1852 to passengers. The line did not reach Wolverhampton until April 1854 for goods and 1 July for passengers. This was mainly due to legal wrangling between the OW&WR and the GWR over the issue of mixed-gauge track running all the way to Wolverhampton and the doubts over the safety of several bridges along the route. On 14 June 1860 the OW&WR amalgamated with the Newport, Abergavenny & Hereford Railway (NA&HR) and the Worcester & Hereford Railway (W&HR) to form the West Midlands Railway (WMR) and on 1 August 1863 the WMR would be amalgamated into the GWR. 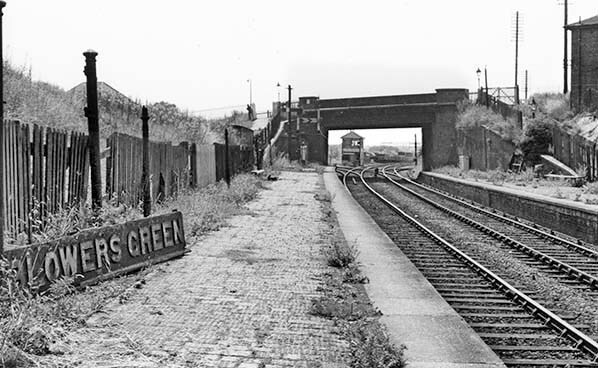 The station at Blowers Green opened on 1 March 1878 and was named Netherton after the station it replaced some 17 chains to the south. 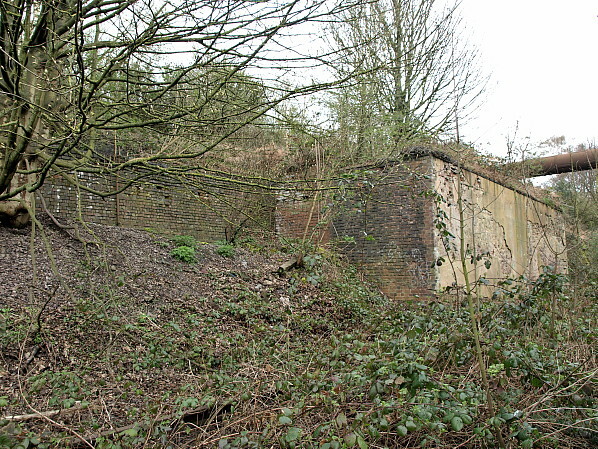 The original station at Netherton had been closed to allow construction of the junction required for the Bumble Hole line through to Old Hill. 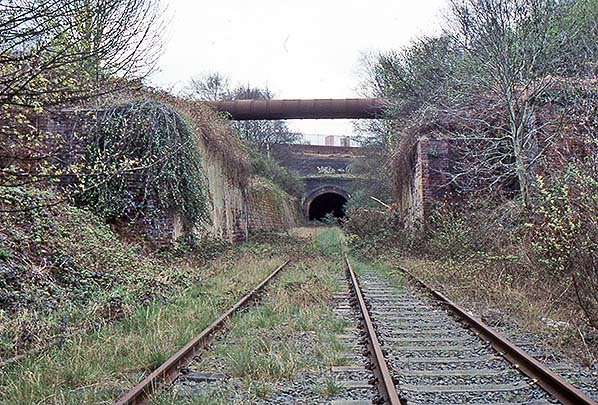 The station was located directly to the south of the 944yd Dudley Tunnel and was a rather grand affair. Vehicles and pedestrians approached it via an access road from Netherton Road to the main buildings which spanned the line on a substantial overbridge. Platforms could be reached via covered stairways from the main building or by ramps and stairs directly from the Netherton Road overbridge. Brick-built waiting rooms stood on both platforms directly adjacent to the covered stairways, each provided with a short canopy. Shortly after opening the station was renamed Dudley South Side & Netherton. Bradshaw’s July 1922 Shows there to have been 42 departures in the up direction (towards Stourbridge) on weekdays with four on Sunday; it was a similar picture for the Dudley-bound services (down direction) with 40 weekday trains and four on Sunday. More than half of the down services terminated at Dudley, the next station along the line; nevertheless passengers could travel each day directly to London Paddington four times, and Birkenhead Woodside five times, and take advantage of the many services along the Bumble Hole line to Old Hill, Wolverhampton Low Level, Worcester and Stourbridge. On 1 August 1921 the GWR renamed the station simply ‘Blowers Green’, reflecting the area of Dudley that it served. The station was rebuilt sometime between 1928 and the late 1930s with the original entrance being closed and the high level buildings, bridge and covered stairways being demolished. 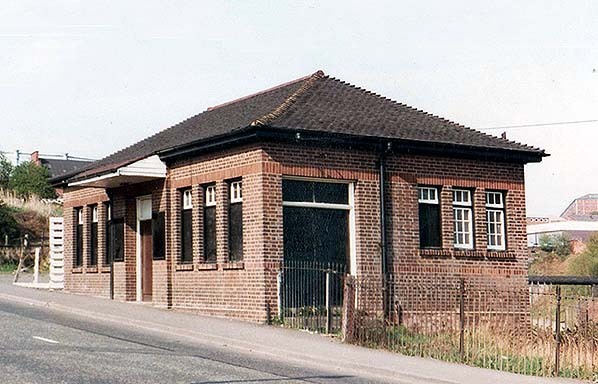 The high level booking office was replaced with a single-storey building directly adjoining Netherton Road with platform access provided from the original steps and ramps either side of the overbridge. By 1961 the passenger service had dwindled to a mere 17 up workings (towards Dudley) and 15 down workings on Monday-to-Friday. The week ending 23 April 1961 was significant for several lines in the area - and many more countrywide - as it was the week of the traffic survey in association with the forthcoming ‘Beeching Report’. 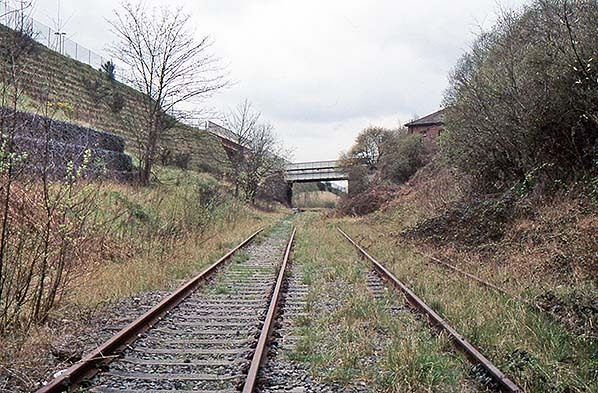 The Reshaping of British Railways was published in March 1963, and the service between Stourbridge Junction and Wolverhampton Low Level was noted as already having closed, as it was under consideration for closure before the publication of the report. Withdrawal of the service had been announced during 1961 with all intermediate stations along the route, apart from Dudley, closing on 30 July 1962. 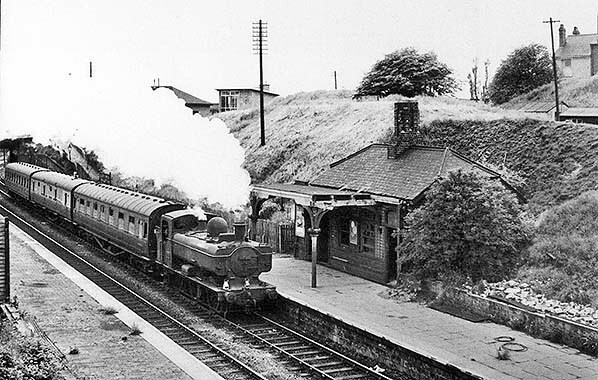 It was a curious decision to close Blowers Green as the service to Old Hill was still operational and accounted for nearly half of the trains which called at the station. By 1964 the station platforms and buildings had been demolished and the new street level booking office was utilised by a private company. 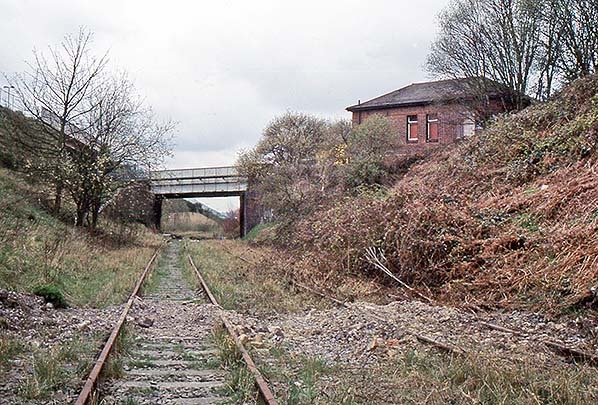 The line remained open to goods traffic and continued to be heavily used until it was mothballed by British Rail (BR) in March 1993. 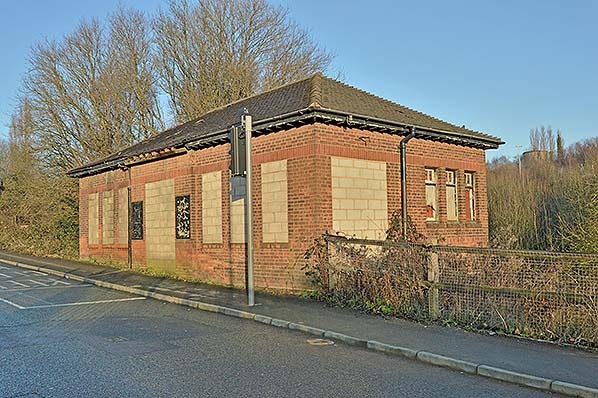 Today, the street level booking office remains but is no longer in use, with its windows and doors bricked up and the fabric of the building slowly deteriorating. The original driveway to the high level booking office is discernible and can be followed to the point where the office and steps down to the Dudley-bound platform once stood. The bridge abutments and the embankment retaining walls are still in place and the mounds of the platforms can still be made out in the winter months. 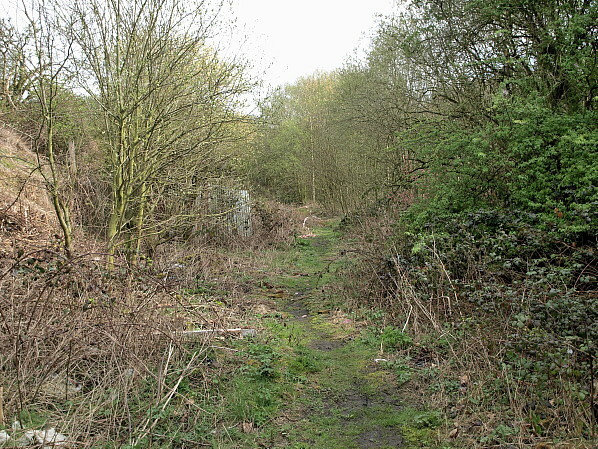 The double track which still runs through the station site and the platform remains are almost overwhelmed by the growth of hawthorn and saplings. 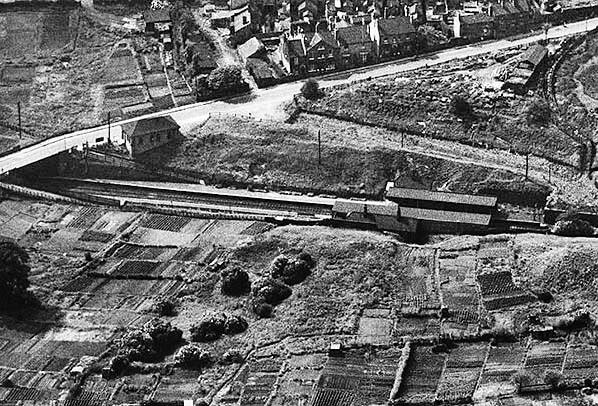 An aerial view of the station looking west during 1946. The changes which have taken place since opening are clearly visible with the street level booking office in a prominent position and the original station driveway seen running from the road around the rear of the down (Dudley direction) platform. The 1881 six inch map shows the the station in 'as built' condition with the original entrance to the booking office located on the bridge spanning the line. The station was called Netherton after the station it had replaced in 1878.
to both platforms from Netherton Road. The 1962 OS 1:2500 map shows how the station arrangements have changed over the preceeding years with the new booking office located on what is now known as New Road and the removal of the buildings and over-bridge within the station site.The station name has also changed to Blowers Green, but more unusually the junction to the south-west has been renamed Blowers Green from Netherton. 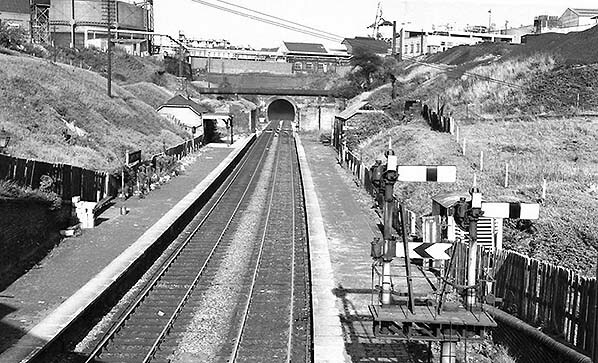 Looking towards Dudley and the portal of the Dudley tunnel in the late 1950's, early 1960's. The shorter signal in the foreground controls the junction with the Bumble Hole line, with the taller of the two controlling the main line to Stourbridge Junction. 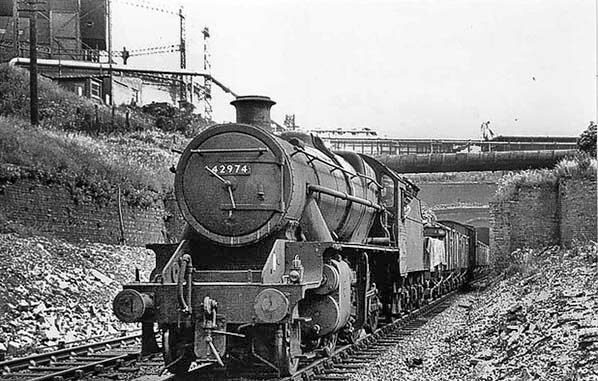 A GWR Pannier Tank approaching the station in 1962 shortly before closure with a Dudley bound service. Signs of neglect in the station infrastructure are evident, with the platform canopy having a short section missing and weeds are starting to grow on the platform surface. Looking towards Stourbridge in the mid 1960's following closure, the station is looking in a very sorry state with weeds prevelant on both platforms and the sad sight of the GWR running-in board lying on the platform. The signal box which controlled Blowers Green Junction can be seen through the bridge. By the time this picture was taken in May 1964, the platforms and associated buildings had been completely demolished. LMS Stanier Mogul Class 2-6-0 42974 has just emerged from the Dudley tunnel running towards Stourbridge with a mixed goods train. One of only 40 built at Crewe works, the loco survived until withdrawal on 25 September 1965. 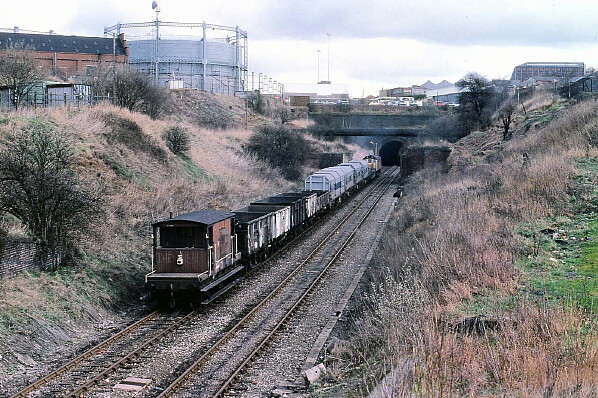 Looking towards Dudley at the station site on 2 April 1980 with Class 25, 25145 on a mixed goods train about to enter the Dudley tunnel. The platform ramp retaining wall can be seen to the left of the brakevan and the Dudley Gas Works gas holder still domiates the scene. The stations' street level building viewed in 1980. It has been in use by private business since closure. To the right is a row of GWR spearhead fencing. Looking south from a mid-way point along the platforms on 13 April 2005. The street level booking office is visible to the top right with the Dudley by-pass now dominating the station site to the left. Looking north from the same point as the previous picture on 13 April 2005, the original booking office would have straddled the lines here with covered walkways heading down to the platforms. The GWR street level booking office viewed across the site of the down platfom on 13 April 2005. The building on 28 December 2014 it is still standing but now not in use. The canopy which projected out over the pavement from the front entrance has been removed and most of the windows have been bricked up. Looking in the Dudley direction from the same viewpoint as the 2 April 1980 picture above, mature trees, rubbish and a general air of neglect can be seen on 23 May 2015. Looking south-west in the Stourbridge direction from the tunnel end of the station on 4 April 2014. 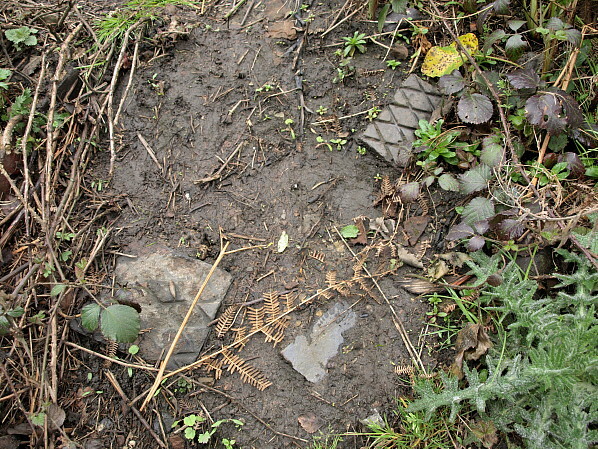 The relentless growth of brambles has already consumed the down line. 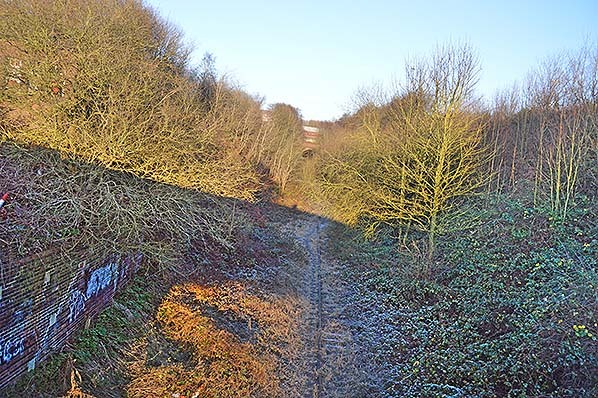 Viewed from the seriously overgrown trackbed on 28 April 2014 is the retaining wall which held the embankment back from the platform buildings on the Dudley direction platform and the bridge abutment which carried the original booking office. The large pipe over the track was installed in conjunction with the Dudley Gas Works. Looking down on the retaining wall on the Stourbridge direction platform on 28 April 2014. The holes towards the top of the wall supported the landing of the platform access stairs. 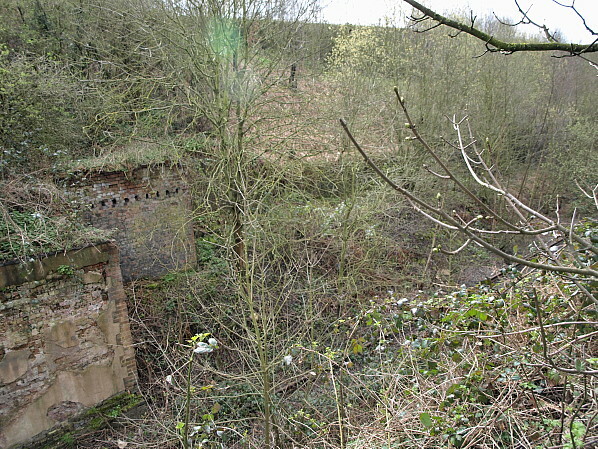 Remains of the down platform and retaining wall seen on 28 April 2014. The gas pipe running down the wall would have serviced the platform waiting room. The edge of the platform access steps from the street level booking office on 28 April 2014 are just evident under the ever encroaching hawthorn. 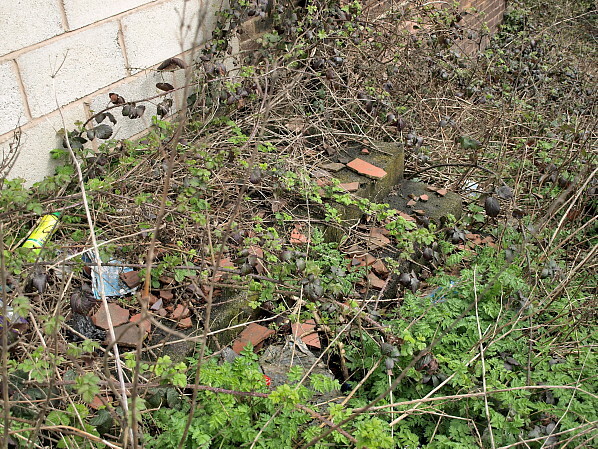 Tiles and bricks associated with the down platform seen here on 28 April 2014. 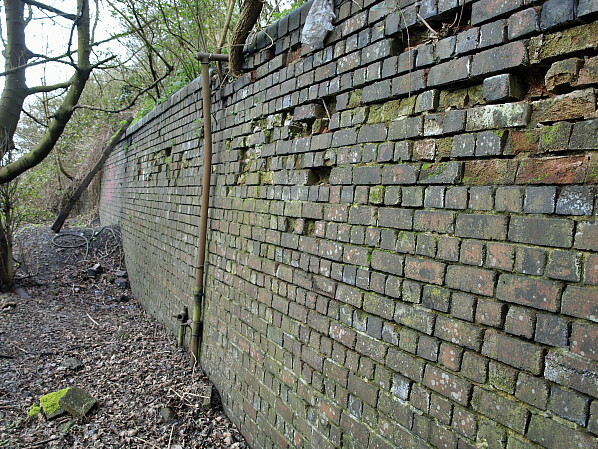 The original station drive off Netherton Road is still discernable and it can be walked to the former high level booking office.